Bow Scansions (2014) is a conversation, in car and by foot, with the filmmaker William Raban. Proceeding from Bow, where he has lived for over forty years, Raban shares his Tower Hamlets: Gentrified docks, BNP Wards, Balfron Tower, and Kray Twins nostalgia — among many motifs in his films. 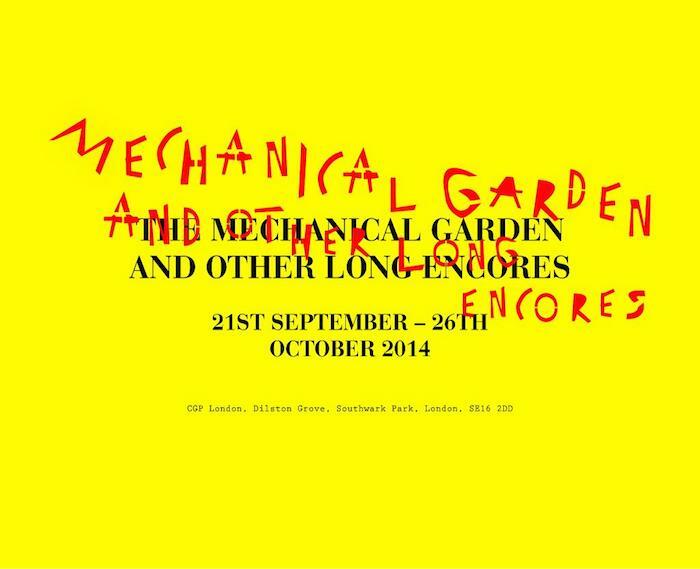 It was commissioned as part of ‘Mechanical Garden and Other Long Encores’, a project, curated by Naomi Pearce, inspired by a speculative diagram drawn by the late pyrotechnic sculptor Stephen Cripps. Cripps (1952 – 1982) lived and worked in the riverside studios of Butlers Wharf, Bermondsey. His ‘Mechanical Garden’ drawing depicted an assemblage of scrap metal, broken machin-ery and other found objects reworked into a sculpted garden complete with mechanical flowerbeds, viewing platforms and water features. Thirty-two years after his death, artists Ben Burgis, Stuart Middleton and Richard Sides re-imagined this unrealized drawing as an immersive site-specific installation in Dilston Grove, Southwark Park. This collaborative work was activated by a series of performances by Bruce Gilbert, Anne Bean and Richard Wilson, Anne Imhof, Alina Astrova and Ashkelon. An audio guide – part soundtrack, part oral history, of which Bow Scansions was part, featured interviews, archive footage, soundtracks and essays by writers and musicians including Alice Hattrick, Patrick Langley, Steven Warwick (Heatsick), William Raban, Laura Oldfield Ford, Simon Werner and Z’EV.